A two-time Academy Award-winning director and animator, John Lasseter is a founding member of and the creative force behind Pixar Animation Studios. Pixar is responsible for ushering in the age of computer-animation and revolutionizing the industry, having produced blockbuster features such as Cars, Finding Nemo, The Incredibles, Monsters Inc., and Wall-E.
Lasseter began his career in animation at Walt Disney Feature Animation, where he soon became fascinated by the potential for creating animation using computer-generated images. After a move to a division of Lucasfilm that would later become Pixar, Lasseter wrote, directed, and produced many computer-animated short films and television commercials, including the first completely computer-animated short to win an Oscar, Tin Toy. He then began work on the first computer-animated feature film, the landmark Toy Story, which forever changed the animation industry. 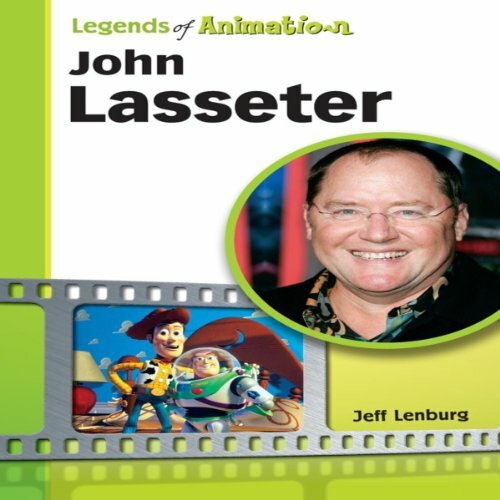 In John Lasseter: The Whiz Kid Who Made Pixar King, learn how this creative mind keeps bringing lasting characters and stories to the big screen through the wizardry of animation.